The "Committee Investigating Public Housing Schemes" have provided their update of the progress of their work and general observations made in their investigation. The committee provided the update at a press conference held at the President's Office today. 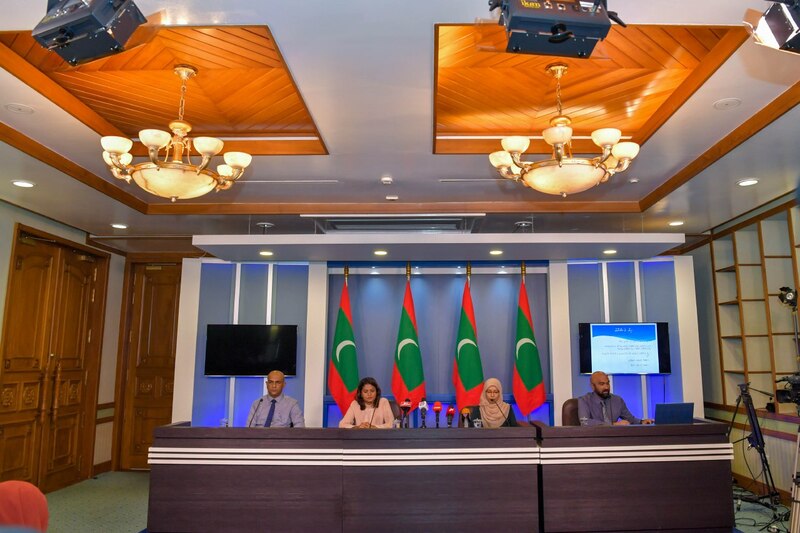 The "Committee Investigating Public Housing Schemes" was convened by President Ibrahim Mohamed Solih in his efforts to investigate all issues related to previous housing projects of the government including the “Hiyaa” project, “Gedhoruveri kurun” project and “Gulhifalhu Housing Project”. The committee shared the issues noticed in conducting their investigations, noting that the related documents have been previously neglected, including the application forms submitted by the public under government housing schemes. The committee raised their concerns that the documents have not been properly or securely filed, which as a result lead to the committee having to locate all the application forms from various locations. It was also highlighted by the committee that there were no guidelines followed in awarding marks for the applicants for social housing. They also informed that they were currently in the process of identifying those responsible for the negligence.